Everything is easy when you’re playing on good fields. Last week I had a game on an aweful field in a wicked wind. We started off the game trying to play our normal game but it quickly became apparent that it was going to be an exercise in frustration. I explain the change I made and why I was concerned if it was the right thing to do. 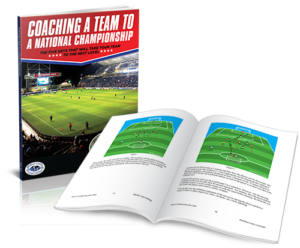 This episode is a bit of a long one because I had a great discussion with Mike Saif, President and Founder of WORLD CLASS COACHING about his new book, ‘Coaching a Team to a National Championship‘. The book details how the team was formed and the process that resulted in the team winning the U14 USYS National Championship. Mike shares the Five Key Factors that he feels made the difference and took this team to the highest level. These are elements that every coach can add to their arsenal that will make their teams more successful. 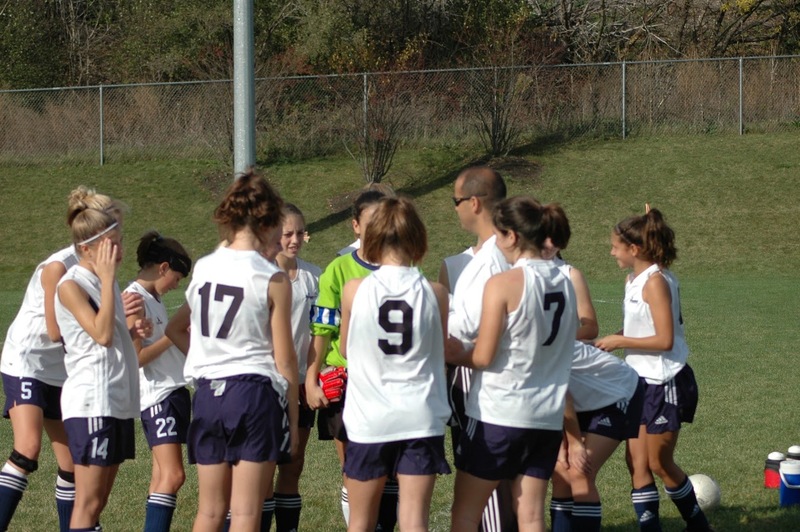 Whether you’re looking to put together and develop a group of players from scratch or you’re searching for the key elements that will take your team to the next level, there is something for every coach in today’s interview. The printable show notes below include a complete transcript of the interview as well as a selection of exercises and drills that Mike used to prepare his team. Please share your thoughts on the podcast through social media to help us spread the word about the information we’re sharing to your network of coaches. 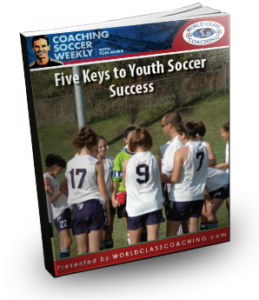 Please share www.CoachingSoccerWeekly.com and include #CSW THANKS! Next week I’m going to talk about how you can develop and maintain a good working relationship with the parents of your player. This is an often overlooked component that is vital to the smooth functioning and development of your team. Thanks Jeff! I appreciate you spreading the word. I’m curious, do you work with that group as a pool with the help of other coaches or do you divide them and train them in smaller groups?